Handling vulnerable mothers who face repeated child removals. Joanne Harris discusses The Strawberry Thief. With the numbers of children being taken into care in England at a ten year high, we take a look at the women who face the repeat court-ordered removal of subsequent children. 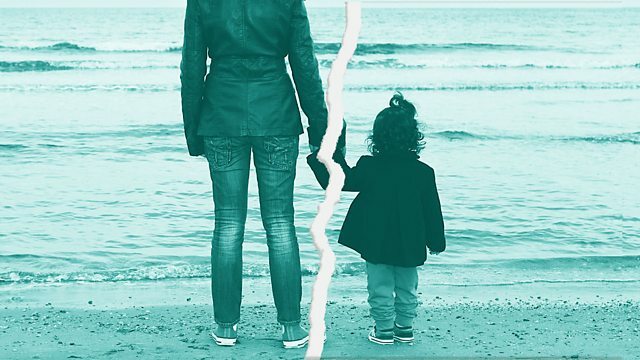 We hear the story of one woman who had already had her first two children removed under court orders - and decided to flee the country when she was 37 weeks pregnant with a third child. Jenni discusses why some women face the repeat court-ordered removal of their children and what support vulnerable mothers require to break the cycle. And the author of Chocolat, Joanne Harris, talks about her latest novel The Strawberry Thief which returns to the story of chocolatier Vianne Rocher and of her daughters, Anouk and Rosette.